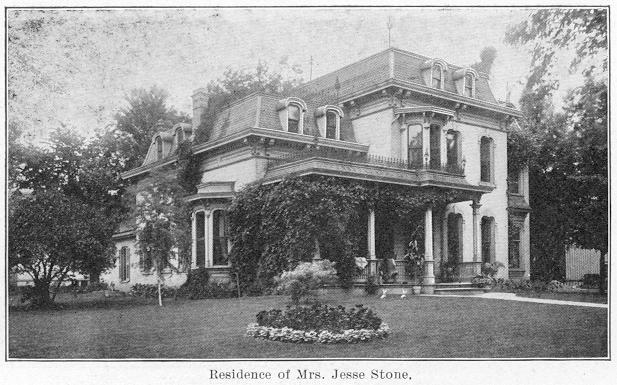 A fine example of what was an early elaborate residence is the one known for many years as the Jesse Stone house, 300 South Washington, the original small house built in 1869, with additions seven years later. In 1876 side wings containing double library and den were added, as well as other additions. Former Lt. Gov. Jesse Stone was born in England in 1836. 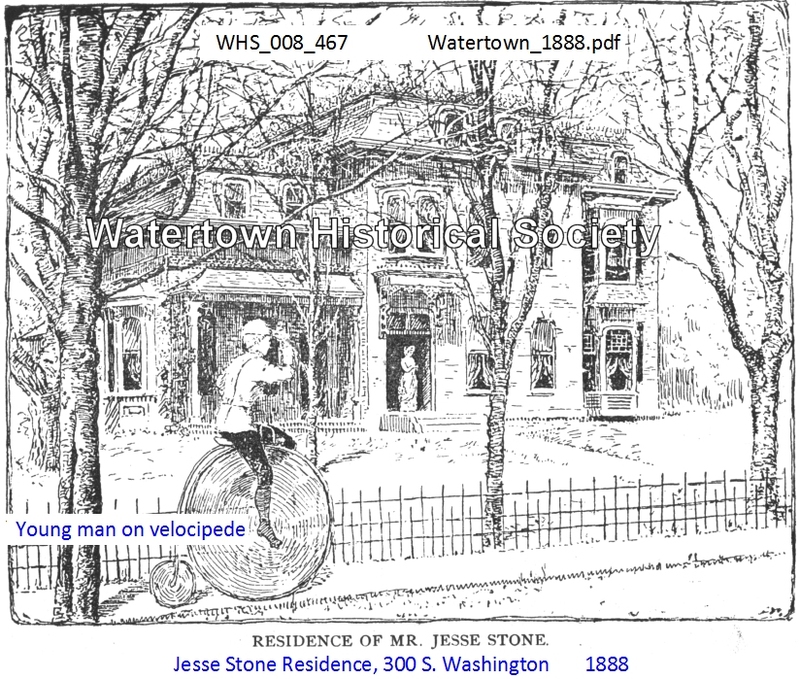 In Watertown he was a partner in the firm of Woodard and Stone Bakery, at first a crackers and confectionery store. Philip A. Olson was the home owner in 1976. He purchased the home in 1975 from the Walter Hertel estate. Through Olson and David Hertel, nephew of the previous owner, many very unusual features of this large brick home were related. The property contains not only the home with its Mansard style roof, but a matching two story carriage or coach house. Both of these structures have the original built-in water tank, one on the third floor of the house and one on the second floor of the coach house. The home contains large, high ceiling rooms, many double rooms, like the library and living rooms. There are three fireplaces in the home, five elaborate bay windows, seven stained glass windows. One of these windows, the full size of a door, is at the end of the large central hall. This is designed with stained glass apple blossoms, blue birds and the sun. The property is surrounded by the original iron picket fence. Oct The Jesse Stone House Bed and Breakfast was formerly dedicated with a ribbon-cutting ceremony. Full length ornate mirror in the Thauer home is from the Jesse Stone home.